It was not so long ago when I was playing with a slide whistle that I remembered a great whistle. 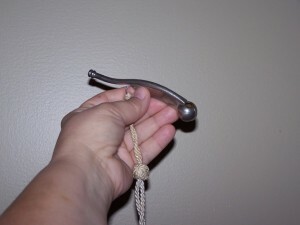 It was a shiny Bosun’s Whistle that had been in the family. I was not sure who it belonged to , but I do remember that I was entranced by it as a child. The Bosun’s Pipe ( or Boatswains Pipe) or whistle disappeared. Now as an adult I get that, I was probably driving my Mom crazy blowing the whistle and the sound is high pitched. Within the four walls of a house it would be a bit much. The whistle wasn’t really gone. It turned up last night as I was poking through boxes of “stuff”. So Mom had kept it just stashed it. This particular pipe could have been hers as a members of Mariners Club or my Uncles from Sea Scouts. It might have been my grandfathers from a sea faring adventure. They have been around since 1238 from what I’ve read on them. The Greeks and Romans using them to give orders to galley slaves on their ships. In 1671 the English Navy took up the pipe as a way of giving orders to be heard over storms at sea. As I’m writing this and the rain beats hard against the window, I can imagine the need for a piercing call to all hands on deck.